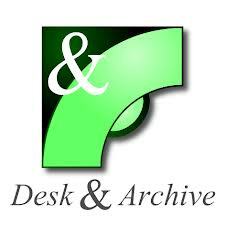 Desk and archive is a program that is meant to give those writers and heavy office users a break by organising their documents nad to make it easier for them to create more. This is one handy program especially if you like to keep tons of copies of your files on your computer, as well as to organize your articles. So if you are a blog writer, then you will want a program like this, and the best thing is that it takes little to no skill to learn, and if you can’t do something, then they have instructional videos that you can follow, and they will teach you all of the tricks to the software. Create A New Document From Within The Program: You are able to create a new document from within in the program by clicking on the new tab which is located at the top left of your program. You can use this to save time and to keep your work more organized. Template: You are able to turn everyone of your documents into it’s own unique template. For instance lets say that you create a resume for your job interview, well you will never need to do it from scratch, because you saved that last one, and now the program knows to use that document as a template. Edit As A New File: You can edit a file in a new document, this will copy that file, and all you to edit it without harming the original file. This is a very useful feature especially when working on an important document. Tag Reminder: You can create a tag and then attach it to a document. This is used as a reminder system hence the name Tag Reminder. you will be able to set a time for this timer to go off, and it will remind you to do what you labeled it, and it will display the corresponding document in a pop-up window. Exclusion Tags: These tags are meant to prevent certain documents from following your other tags. Track Unfinished Projects: You can have this program monitor documents that you have not classified as finished and will warn you to continue to work on them. This is great to use especially if you have forgotten to set a tag reminder. Filter: You are able to filter your documents to have certain ones placed on certain sections. This is great for keeping your work documents separate from your website documents or you book pages. I found the program to be amazing especially for someone like me who constantly tries to organize his documents into folders and then sub folders. This was a faster way, but with the growth of the cloud and Microsoft new Office 365 how long until a program like this is throw away and marked as useless. If you are not a fan of the cloud then this is a must have program, but if you tend to write your documents in the cloud then you might want to pass on this program. While the program installs well is loaded with features it is missing some key elements. The one thing that struck me as annoying was the interface. The interface felt very clunky, and very Windows XP like. The interface needs to be more fluid and then it will earn a five out of five, but as it stands right now it deserves a 4.5 out of 5. Are you a business person that constantly works with office applications? This is the only file manager built with office productivity in mind. our job is to provide you with proper tools to follow your work easier, spot the documents quicker and improve your productivity.